The World's Only Think Tank Focused Solely On The "Money Issue"
What Does Mr. Greenspan Really Think? Receive periodic updates on FAME research, events, and publications. 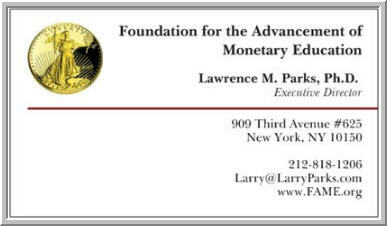 Foundation for the Advancement of Monetary Education is a 501(c)(3) not-for-profit organization. Contributions are tax-deductible to the extent permitted by law.